Callaway Golf Company (NYSE:ELY) published their third quarter financial results yesterday showing sales up 38% compared to last year same quarter and a significant paring of the quarterly company’s loss. For the nine months of 2013 sales increased by 13% versus results for the first three quarters of 2012 and profits were $28 million, up from a $10 million loss last year. Callaway also is estimating sales for 2013 will be $836 million with a small profit (estimated less than 1%) which would be a significant improvement over 2012 when sales were $831 million but a loss of $131 million. “While we are pleased with our first nine months results, which provide evidence that our turnaround is working, we are fully aware that we have more work to do to return to acceptable levels of performance,” continued Brewer. This is good news for one of the golf equipment industry’s most prominent companies. They are needed for both their stature in the eyes of consumers and for their technical innovation to help the entire equipment business be profitable and healthy. However, there are some other facts worth noting. 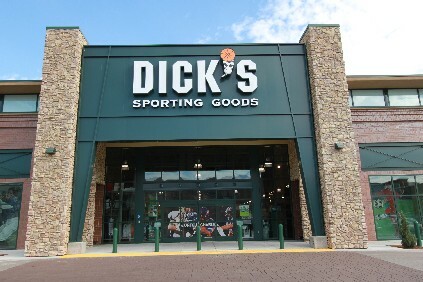 One of, if not the primary, reason for the increase in profits was Callaway selling the Ben Hogan and Top Flite brands to Dicks Sporting Goods (NYSE: DKS) in 2012 and the resulting reduction in cost accompanying the loss of revenues. Dicks with more than 500 big box retail stores and ownership of Golfsmith, is a major reseller of golf equipment and apparel but at the same time is competing with companies such as Callaway with its own brands. Callaway also sold its non-core apparel brands to Perry Ellis International (NASDAQ:PERY) which allowed reductions in personnel and expense but with a negative impact to sales figures. The largest equipment company, TaylorMade-adidas Golf (OTCMKTS:ADDYY), meanwhile is on the way to another record setting year for sales and profits with over $1 billion in sales for their first six months of the year and double digit sales growth in some product categories. TaylorMade has a dominate share of the metalwood business taking the lead from Callaway several years ago in spite of Callaway’s early success with the original Big Bertha driver.